The most loved Mac is about to make you fall in love all over again. 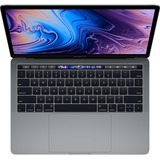 Available in silver, space gray, and gold, the new thinner and lighter MacBook Air features a brilliant Retina display, Touch ID, the latest-generation keyboard, and a Force Touch trackpad. The iconic wedge is created from 100 percent recycled aluminum, making it the greenest Mac ever. 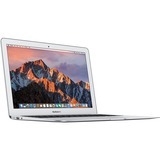 And with all-day battery life, MacBook Air is your perfectly portable, do-it-all notebook. With four times as many pixels as an HD display, the results are positively jaw dropping. Images take on a new level of detail and realism. Text is so sharp and clear you'll feel like you're reading documents, email, and websites on a printed page. And with 48 percent more colors than the previous generation, everything you see is rich and vibrant. The display glass goes right to the edge of the enclosure, making the borders 50 percent thinner than before. So you can focus on what's on your screen. And you're going to love what you see. Your fingerprint is your password. The advanced security and convenience of Touch ID are now built right into MacBook Air. Simply place your finger on the Touch ID sensor and - just like that - your Mac unlocks. Use your fingerprint to immediately access locked documents, notes, and system settings, without entering yet another password. Online shopping is even easier - select Apple Pay at checkout, and with just one touch you're done. No need to enter shipping or billing info, and your card details are never shared. With Touch ID, your private information stays private. 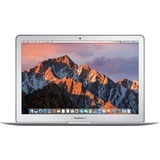 MacBook Air features the Apple T2 Security Chip - second-generation custom Mac silicon designed by Apple to make MacBook Air even more secure. So when you use Touch ID to unlock your Mac, authenticate a document, or pay a merchant online, your information stays safe. With on-the-fly data encryption, all your data stored on the SSD is automatically and fully encrypted. 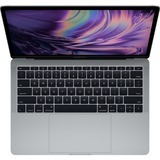 And thanks to the T2 Security Chip, a familiar voice comes to MacBook Air - Hey Siri is always ready to open apps, find documents, play music, and answer your questions. Redesigned from A to Z. The latest-generation MacBook Air keyboard features our butterfly mechanism - providing four times more key stability than a traditional scissor mechanism, along with greater comfort and responsiveness. And individual LED-backlit keys with an ambient light sensor help you type in low-light environments. 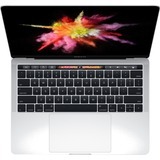 The Force Touch trackpad lets you interact with your Mac in a variety of ways based on subtle differences in pressure. You have precise control and a uniform response - no matter where you click the trackpad - as well as plenty of room for Multi-Touch gestures like pinch and zoom. Your fingers will feel right at home. 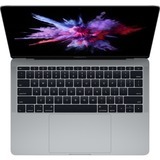 Even though it weighs just 2.75 pounds, the new MacBook Air packs quite a punch. 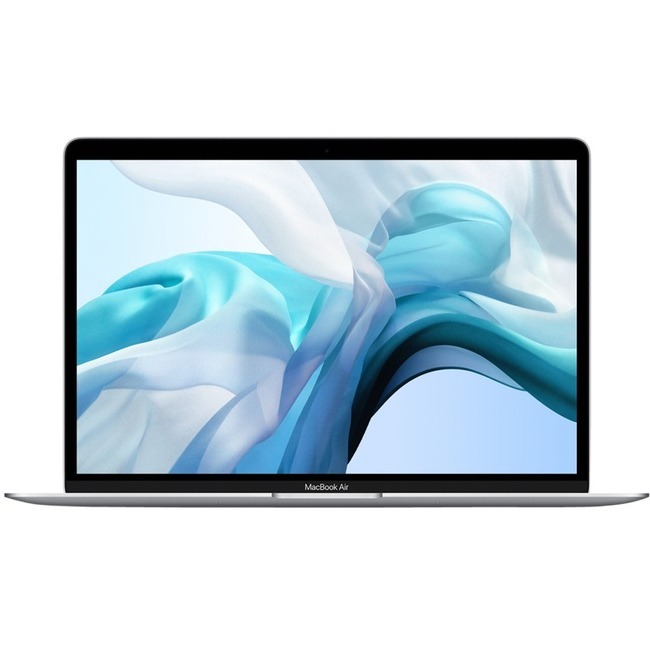 An eighth-generation Intel Core i5 processor helps you power through daily activities, from reading email and browsing the web to creating Keynote presentations and editing in iMovie. Up to 16GB of memory lets you work seamlessly even with multiple apps open, while up to 1.5TB of SSD storage lets you launch apps in a flash and provides plenty of room for all your documents, photos, and videos.